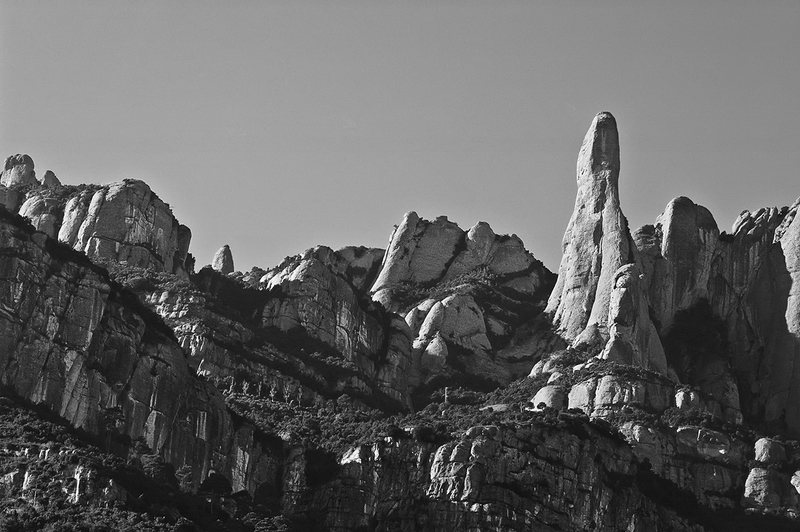 I've tried to rescue a bad image, originally taken in color that I thought deserved an opportunity just for you to contemplate the impressive eroded monoliths, the capricious carvings mother nature has left on its walls, the convergence of lines coming from every angle that altogether constitute what is known as Montserrat mountain. Maybe you ought to check these posts: Montserrat, the Jagged Magic Mountain and Montserrat, The Serrated Mountain. . . .an impossible landscape in which Mother Nature invested a great deal of imagination. Carlos, I just learned today that my good friend since childhood, who is an inveterate traveler, will be vacationing in Barcelona soon. I reminded him to look at your blog from my sidebar and he said he will.